HEADQUARTERED in Bucharest, dcs plus has offices in Dubai, London, Singapore and Sao Paulo, with plans of opening shop in the US. Within less than two years of opening its Dubai office, the global technology provider has firmed up partnerships with some of the largest players in markets such as UAE, Saudi Arabia, Kuwait, Lebanon and Egypt. We speak to Maamoun Alotaibi, regional general manager – Middle East & Africa at dcs plus, for more insight into what gives them that extra edge over others. Is dcs plus still the only company in the travel sector that has its own full software stack? Why has no one else seen this opportunity yet? dcs plus is still the only company that offers an enterprise-grade, business critical end-to-end solution addressing the needs of all types of travel operators at a global scale, be it TMCs, DMCs, tour operators or OTAs. I am convinced that other travel technology providers have identified this opportunity and are actively working on completing their portfolio as we speak. But it’s not enough to have a full software stack. The difference comes from the added value generated for the customer and the ability of sustaining large projects at a global level. Most of the travel technology players out there focus only on one or two needs of travel operators. And the ones that choose to go full-stack are doing it only on a local or regional level. What areas does dcs plus specialise in and who are your key clients? dcs plus focuses on solving the business challenges across the travel vertical. From the very beginning, our mission was to first understand the pain points along the travel chain and then develop the appropriate solutions. We are proud that we have already managed to conclude partnerships with some of the largest players in the region, in markets such as UAE, Saudi Arabia, Kuwait, Lebanon, Egypt – to name just a few. When did you start operations in the Middle East? We’ve been working with key TMCs in the region since 2012 and decided to open an office in Dubai in the second quarter of 2017. Since then we have strengthened our Middle East operations by consolidating our local team. Also, the new office enabled the scaling of the business and helped a lot in supporting the rapidly expanding customer base in the area. What have been the biggest challenges for you in our region in the past two years? I believe that one of the main challenges faced was to overcome the scepticism of the majority of the key travel players in the region. A lot of projects were won based on the overpromise of the local and regional technology providers only to fail at a later stage, due to their lack of experience or reliability. Convincing the travel companies’ stakeholders to take the leap of faith wasn’t an easy task, but we managed to shift mindsets and drive the adoption of an enterprise grade platform. We managed to exceed expectations, being able to prove the robustness of the platform and bring quantifiable results. What have been the most important achievements in the region so far? As I see it, one of the most important achievements in the region is the fact that we managed to deliver on our promise and demonstrate to our customers the added value brought to their business. 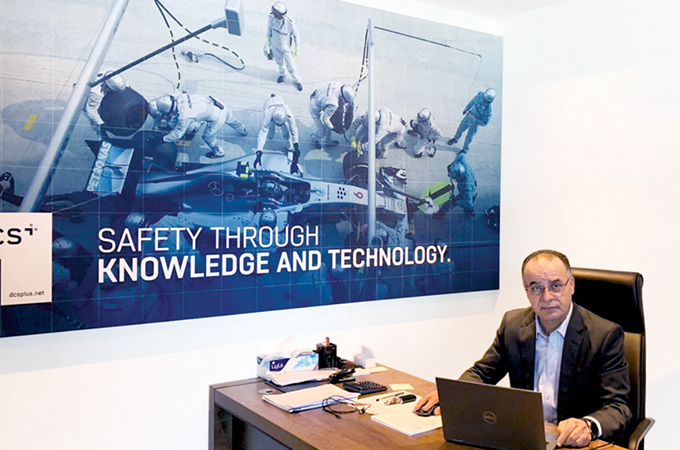 We have seen proven results of how technology has enabled growth with our customer base here, in the Middle East. Within the region, which countries do you see the most demand from and which countries do you feel are under served? Most requests are coming from Saudi Arabia, Iraq, Iran, Algiers, Morocco, Kenya, Nigeria and South Africa, while the most underserved countries while travel technology is concerned are Yemen, Qatar, Jordan and Syria. Which of your products have been the most popular in the Middle East? Taking into consideration the particularities of the Middle East travel players we’ve observed that the biggest difference was made by TINA, IRIX and CSBT. TINA is actually our flagship product, the mid back-office solution designed to consolidate and manage, in real time, the commercial, operational and financial data of any travel agency and its customers. It helps the travel agencies be more profitable, by reducing the operational costs, while the other two solutions help in driving up volumes through the sales channels. Through IRIX, travel agencies can aggregate and distribute travel content from the desired GDS systems or travel wholesalers, but also from their its own inventory, while the CSBT is the online self-booking tool developed for the SME corporate customers. Where do you see the Middle East business of dcs plus in the next five years? Do you have plans to grow the team? In five years from now, I see our brand dominating the regional market, being the technology provider of choice, a strong voice on the travel technology stage sharing our know how and expertise. A new colleague just joined our local team and we plan to continue bringing other travel professionals on board in line with our continuous growth in the region.